In 2004 Malcolm became a National Umpire, a National Referee in 2007, and then passed the International Umpires exam in 2008. Last year he umpired at the French Junior Open and the Commonwealth Championships. After attended and passing an exam at a Racket Control Seminar (5 April) in Auckland he can now be appointed to be Chief Racket Controller at ITTF Tournaments. On umpiring at the recent NZ Junior Open (6-9 April) in Auckland: “The first three days I was umpiring twelve hours each day, including 21 matches on day one. A lack of umpires meant I was umpiring virtually every round! “Umpiring requires a good knowledge of the rules, the ability to concentrate during matches and apply the rules in an impartial manner.” – If you are interested in learning more about Table Tennis umpiring, Malcolm would love to hear from you! 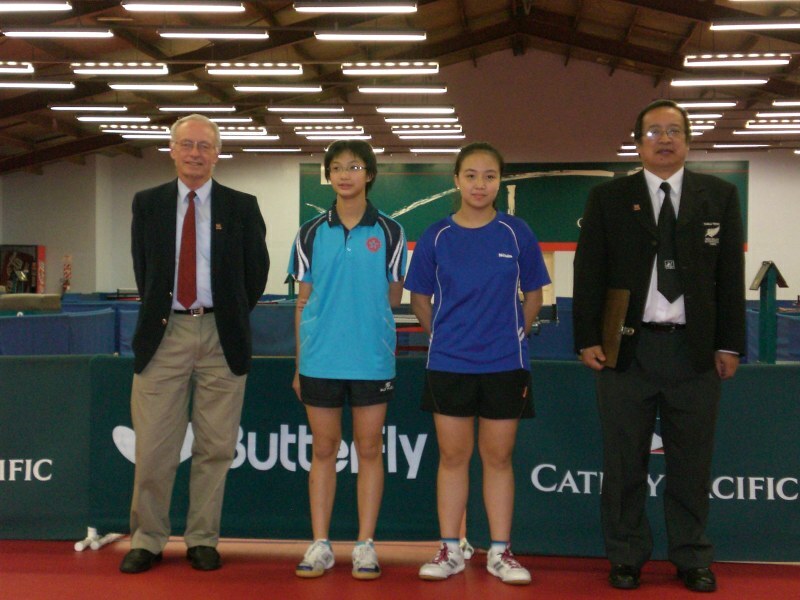 NZ Junior Open 2010 – Cadet Girls Singles Final (9April). 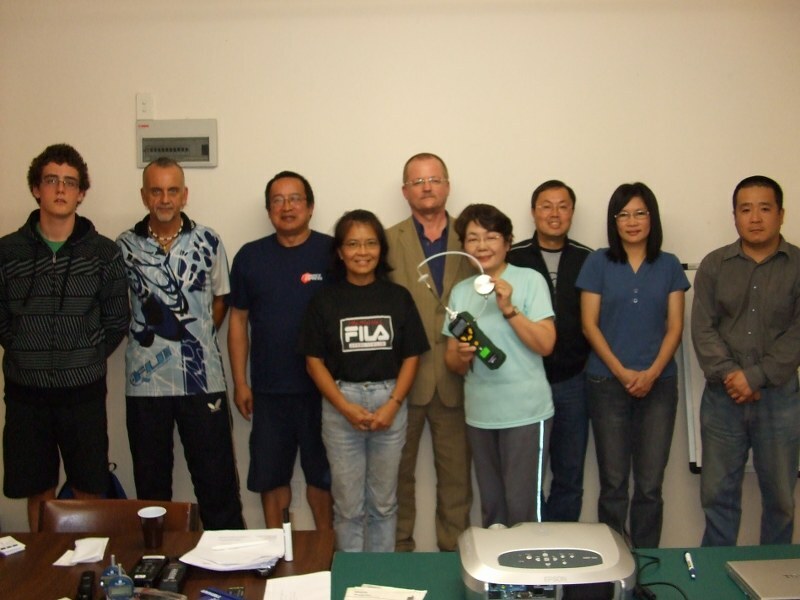 Richard Ammundsen (Assistant Umpire) Wong Chung Wan (Hong Kong) Lily Phan (Australia) Malcolm Wong (Umpire).